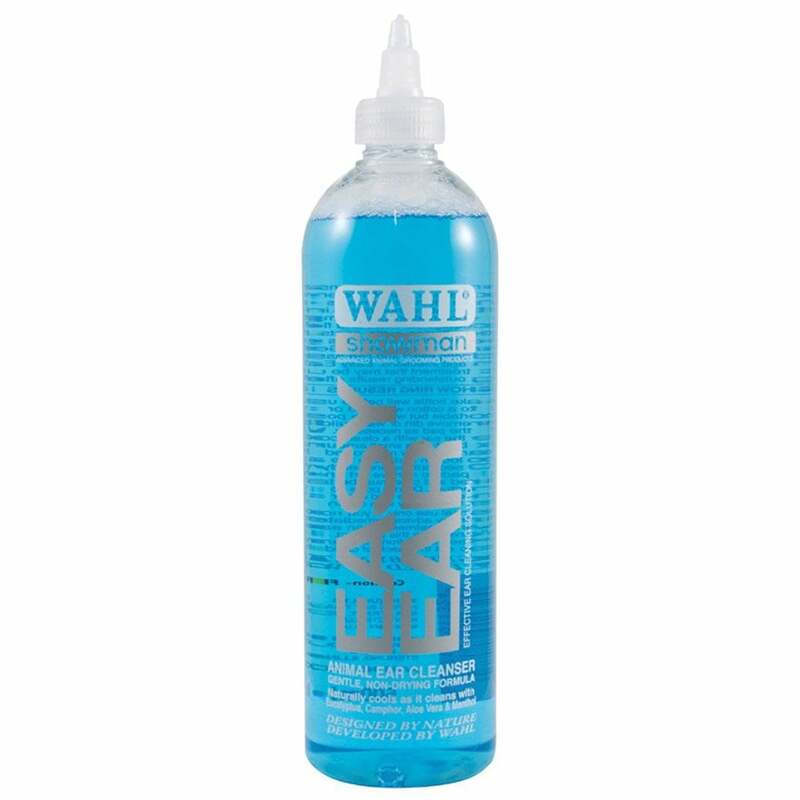 Wahl Showman Easy Ear Cleaner has a balanced formula based on natural ingredients to gently yet effectively remove dust, dirt and ear wax with little or no rubbing and no harmful detergents or cleaners. The solution can be applied to the ear then wiped away. Active ingredients include Aloe Vera Gel, Menthol to soothe the ear and cool irritation plus Camphor to assist in reducing inflammation and Eucalyptus to discourage ear mites and fleas. Gentle cleansing and soothing agents act without any drying effect and can help in reducing tenderness and non-specific irritation and infection.